Ieronymos II, the Archbishop of Athens and all Greece, asked not to rush for the construction of a mosque in Athens, adding that he had serious concerns about the building of the edifice. Speaking on a nationwide broadcasting TV channel, Ieronymos II said that recent events changed his positive views regarding the construction of a mosque in Athens, referring to the recent refugee influx and sectarian conflicts across the Middle Eastern countries. He urged authorities to wait until the picture becomes clearer concerning the situation of Muslims in Athens before undertaking any construction, seeing whether the recent arrivals will permanently settle or move away. 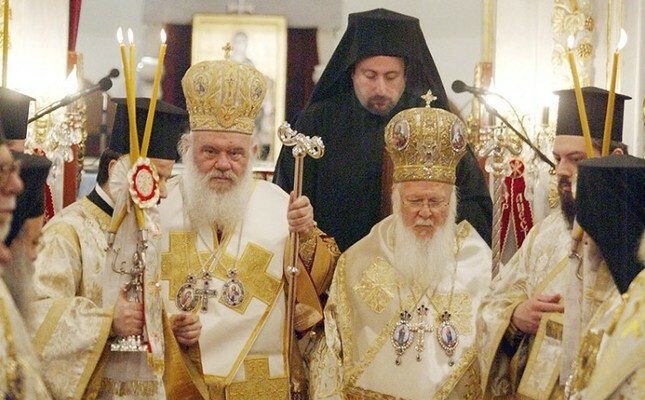 Ieronymos II also added that mosques could become recruiting centers for fundamentalist groups, while noting that Greece is becoming ''less Christian and Greek''. The planned site of the first official mosque was stormed by radical groups wearing military attire shortly after the announcement of its construction. The attack was denounced by Greek political parties including Syriza and Pasok, as well as numerous human right activist groups. Athens remains as the only capital in Europe without an official mosque, even though it is the home of several hundred thousand Muslims.